But when dark, dramatic Antoinette crash-lands at Evergreen High, the entire school feels the impact. Antoinette has seen things, been places, experienced deep tragedy first-hand. She's not just a rebel, she's a force of nature. Gavin, for one, is captivated and is soon pursuing interests he never knew he had. With a camera in hand, he finds a way to express his own truth, including his feelings for his favorite subject: Antoinette. 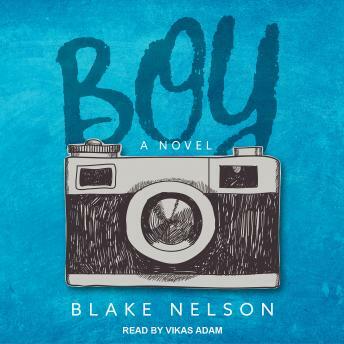 It all leads to one passionate, life-altering night in this achingly authentic story from bestselling author Blake Nelson.